I inquired about a couple photography jobs today. I am currently at the "Cup O' Noodles" level of poverty. How do you have fun when you're broke you ask? I went down to the fine arts studios and the photography lab at the Corcoran and convinced a couple of friends to walk down to the Declaration of Independence Island and then over to the Washington Monument. The Monument has been boarded up since the end of last summer. 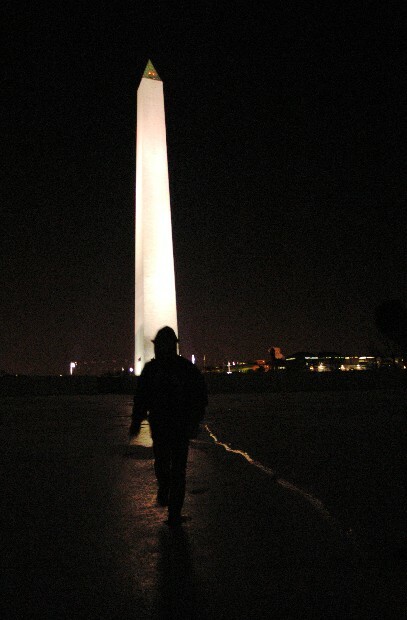 I remember when I lived in SW D.C. and walked right underneath the monument every night. I think it's still open during the day. On my walk home I passed through DuPont Circle. 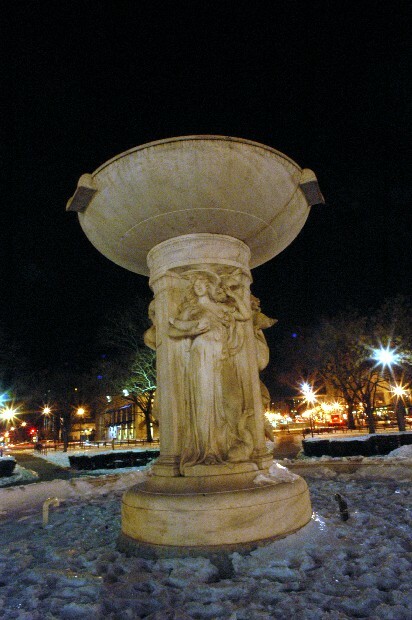 The fountain in the center of the circle is probably one of the most photographed neighborhood monuments. I wasn't taking this photo thinking it was anything original. It's part of my tourist act. It's a performance art.